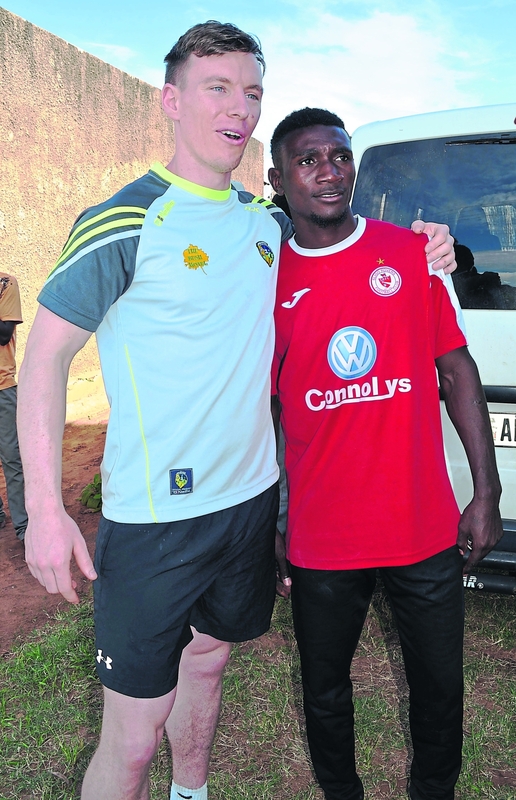 Ronan Kennedy was delighted to present some Leitrim jerseys to the local soccer team in Kaoma. - “I asked if any had Leitrim grandparents just in case.” said Ronan. 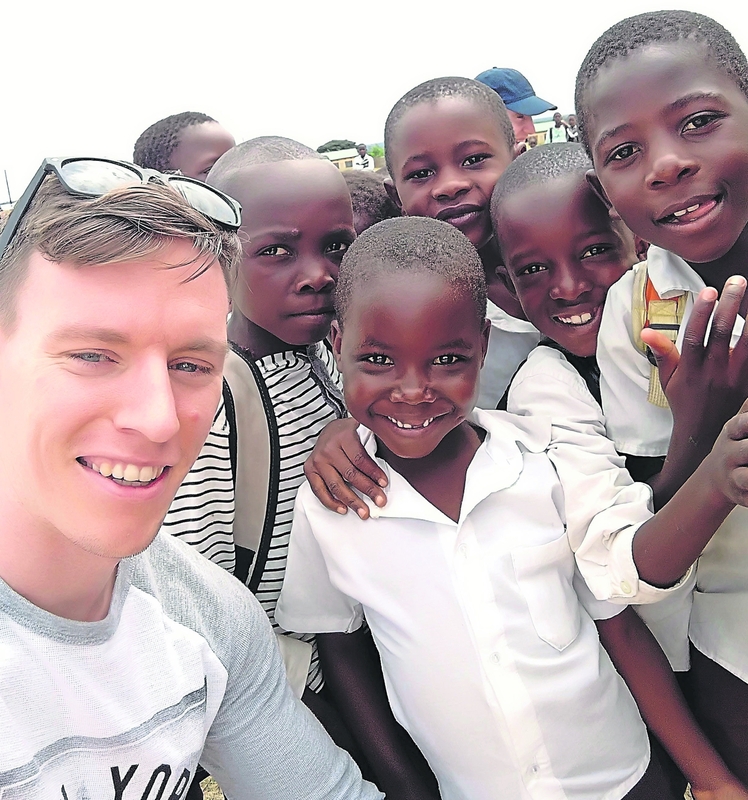 Leitrim footballer Ronan Kennedy spent part of April this year in Zambia as part of Alan Kerins Projects in association with Self-Help Africa. Here Ronan recounts the struggles in his own life and how the trip to Zambia has changed his outlook on life. This article was due to be published prior to the sad passing of Ronan's mother, Mary Kennedy, last month. 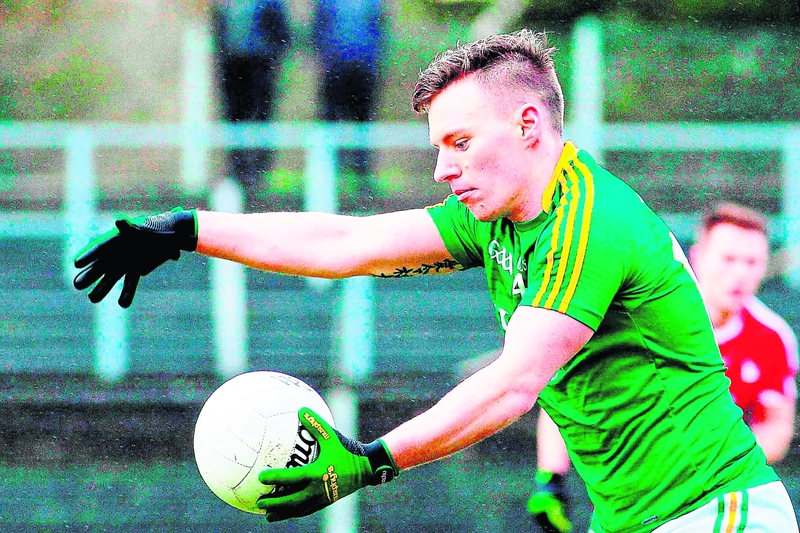 The staff of the Leitrim Observer would like to offer our sympathy to Ronan and the Kennedy family on their great loss. One of the best and toughest days of my life came a few weeks ago. I was in the Cheshire Home in Mongu, Zambia. I met a boy named Junior. The two of us danced, played soccer and laughed until our faces hurt. At one point during our encounter I noticed Junior looking up at the tree that was shading us from the burning African sun. He looked intrigued, so I picked him up. He reached out and pulled a leaf off the tree. He laughed uncontrollably. At first I couldn’t understand why. But it became clear very quickly. Junior had just managed to do something that he had probably always wanted to do but never could. You see when I left Junior with a smile on my face, I also left with two things he couldn’t give me …. my left leg …. and my right leg. Dancing and playing soccer without the use of his legs were easy. Height was his only boundary and even that had just been overcome. 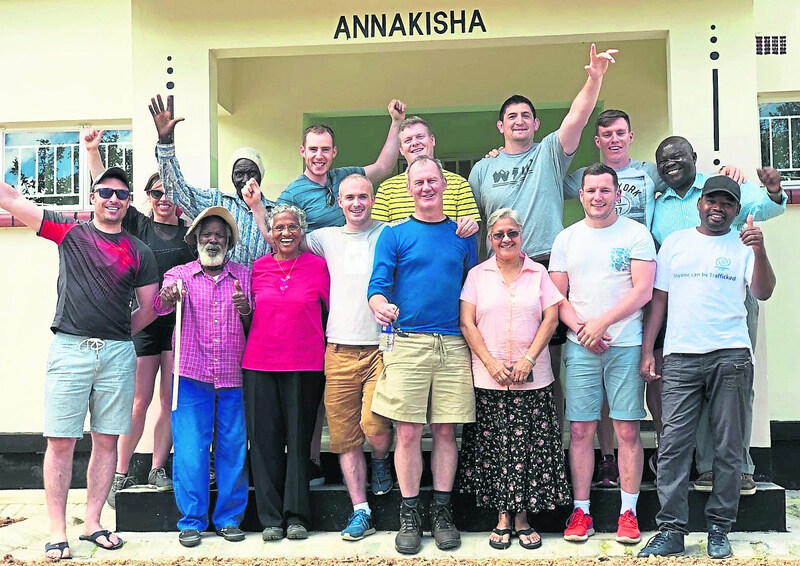 Alan Kerins posted on social media late last year that there were places available on his programme for the upcoming April trip to Zambia. A fellow Leitrim man, Kevin Conlon, had participated before and could only say good things. It was an itch I had to scratch so I immediately emailed Alan and managed to get a seat on the plane. It has been a tough 18 months or so for me personally. From the outside it all seemed rosy. I was playing football with Leitrim, won GAA player of the week during the summer, won the championship and league with my club playing some of the best football I felt I ever had. I also completed a Masters in Criminology and Criminal Justice in Maynooth University. The reality was my mother was at home in Leitrim two hours away severely ill with lung cancer while my partner was three hours away in Sligo struggling with her physical and mental health. Throw in football five or six days a week, working a day or two to try and survive and something had to give. I completed the Masters but in the end I didn’t care about it. I was in limbo on where to be and what to do, I still am. Even my greatest passion, football, has become a case of going through the motions, despite my best efforts. Brief breaks in the clouds, my mother lifting the championship cup later in the year, presented moments of hope. I have and still do struggle with my mental health and the last year has pushed me to grow up and deal with things at such a frantic pace, in a clinical and practical way, that I hadn’t taken the time to really consider it all. Put on a strong front, focus on football where I was comfortable, kick the can further down the road and hide from reality seemed to be the best option. The trip to Africa was as much an escape as an opportunity. The trip to Zambia took place at the start of April. Throughout the trip I was amazed by the strength of the Irish missionaries over there. They do immense work that goes unseen to the rest of the world. At dinner on the first night I was told a story about a boy who had his legs run over while he slept on the road at night. The heat of the road regularly offered a warm bed for children. He was taken in by Sister Molly in Kaoma. The funds raised by these projects allowed him to get prosthetic legs and he is now training to become a teacher. The ultimate message of what can be achieved with a little help and a desire to be the best you can be. Our visits in the capital Lusaka included the school in the Chipata Compound run by Sister Paula, and the Barefeet organisation run by Tonga. Sister Paula runs the school to a high standard and ensures the kids get what they need to help them succeed. Barefeet perform amazing theatrical and acrobatic shows on the streets to encourage children to join and better themselves. We were mobbed by children at every turn, 4 or 5 on each arm. This continued throughout the trip. As we moved west we visited the Garden of Oneness run by Sister Terry. She is an Indian sister who has created this magical garden of colour, meditation and relaxation. Sister Terry took us to a local community via a hedge, driving through grass above the height of the 4x4 in to a small clearing. We found the Mahili village of mud huts and the most welcoming people I have ever encountered. Chief George brought us in to his home, no more than 10 feet by 10 feet, and fed us until we nearly burst. They have no electricity, but the warmth of their welcome could light many a city. A humbling and surreal experience. The villagers had surrounded the Chief’s home and as we exited they started to sing a song ‘You and I, we are one’. We danced together before we took our leave. I’m not sure if I will ever be able to fully comprehend that evening. Shivers and goosebumps. Further West in Kaoma we visited the Alan Kerins Projects school. Seeing his name on the wall really hit home the work that Alan has done in the 13 years since 2005. The kids were incredible and loved a selfie as much as the rest of us. Sister Molly helps to run the school and local orphanage. A strong and warm character, with great respect and authority. She has great motherly qualities and looks after the children as though they were her own. We played a game against Alan Stars, a soccer team Alan helps to fund. I managed to get some Leitrim jerseys from our kit man Leo Duignan at home. It was great to see them so happy and proud to wear the Leitrim jersey. There is a message in there somewhere too. But for some dubious offside decisions in our favour we could have been hammered. It ended in a 1-1 draw. It was incredible to see so many of the kids play in their bare feet. And this wasn’t Croke Park. You don’t miss what you don’t have. We moved on to The Cheshire Home for disabled children in Mongu, Western Zambia. I have repeated the phrase but words simply can’t do justice to this facility, the people and the children there. The children only see their abilities and they are an inspiration. They fall, but they get straight back up. They play, sing and dance with such energy it is impossible to keep up. One child plays the bongo drum with one hand missing, another pushes himself around in his wheelchair with one working arm. One wheel at a time. Another plays chess. Others play soccer on their knees. I garnered a massive appreciation for all that I have, not in possessions, but in the luck I have all my limbs working. Sister Cathy runs the home. She is a caring woman with a warm heart. She is also an adept business woman. I spoke to her at dinner, and she told me of her past and future plans, as well as some funny stories from her time in Zambia. The Cheshire Home is a wonderful place, filled with great people doing their very best for those who need it most. Humbling to say the least. We had a concert with the kids back in the home that evening and it was an experience which my vocabulary will never adequately describe. One of our group brought his accordion and the smiles, dancing and singing didn’t stop for a minute. Disney are good at adapting fairy-tales but I think they would even struggle to portray the joy that was evident in that room. Nothing could prepare you for it, we had to simply go for it. Saying goodbye to the kids that evening, knowing we may never see them again, was akin to saying your final goodbyes to a loved one. We headed back East to our final destination, Mayukuyuku Camp in Kafue National Park. We were lucky enough to spot a pride of lions during a Safari which was a huge highlight. Being within 10 feet of that power was a strange feeling. Elephants, a cheetah, eagles were all captured on camera. The resident hippos at our camp meant sleep was regularly interrupted by them walking close by our tents. It was most definitely something out of the ordinary but the type of thing I had almost come to expect in Zambia. Alan carried out a number of workshops throughout the trip as part of the Inner Winner Institute. These were designed to use the settings we were in to really delve in to ourselves and to figure out what we really could do with our lives. They played a major role in the trip. I went through a huge array of emotions during the workshops and found each one hugely beneficial for putting sense to everything that was going on in my life. During our first workshop we were asked to think outside the box and open our minds. The lesson I learned that day is that everyone, even the most successful, carry heavy burdens with them every day. Always take time to talk to someone, because despite what you think they might have in money or possessions, they have struggles too. Our second workshop explored the self-care wheel and the impact making small changes can have on your life. You can’t jump in the deep end of the pool and hope to survive for long. Gradual improvements will help adjust the wheel. You have to be at 100% before you can start to help others. Practical and useful advice that I would encourage anyone to explore. We did a workshop in the garden of the Cheshire Home that asked us to look at ourselves and how we would like to be remembered. We had to write our epitaph, how we would like to be remembered and look in to a mirror and figure out what reflection we could and wanted to see. I’m not ashamed to say I cried my eyes out. Years of feeling inadequate, coupled with the last 18 months, none of which I had fronted up to emotionally, came flooding out of me. My shoulders felt a lot lighter that afternoon. A powerful workshop that tuned me into the important things and what I need to do to be comfortable in my own skin. Our final destination was Mayukuyuku Camp in Kafue National Park. This was a comedown in terms of the intensity we had been at for the previous few days. At this point in the trip we were five days without any type of phone signal or wifi. We were in the wilderness now and it was a great relief to get that time to switch off from the real world. The common denominator in all the work we did was the great power of the people we had encountered and their attributes are all capable of being transferred to our lives in Ireland if we take stock and add in a few subtle changes. Our final night was the perfect end to the trip. A camp fire along the river side, sitting under the milky way watching shooting stars go by didn’t feel real if I’m honest. The sheer volume of stars, with no street or city lights interrupting the view, was incredible. It was time to say goodbye for now to Africa. There couldn’t have been a more perfect way to do it. Remember Junior? In the end it was him who had lifted me up. I still struggle, as everyone does, and my life in Leitrim hasn’t changed an awful lot. But I now have a much greater appreciation of what I have. I am incredibly lucky to have been able to take part in this trip. I can only hope someone reading this will draw some inspiration to one day do the same. My aim from this trip is to raise €10,000 to help fund the work that continues every day in Zambia. It may seem like a lot of money but it is a drop in the ocean to what is really required over there. If I can reach this target it will be one of my proudest moments. I am holding a draw on 18 August with some great prizes and tickets are on sale for €10. The first prize is two All Ireland Football Final tickets. If anyone feels they can help in any way I would really appreciate it.